We've shared some truly spectacular homes with you, but nothing compares to this one. It's the most expensive house in the world - a billion dollar home. It's not completely finished in this photo, but the fully completed version doesn't look all that different. Click here to see it on the Telegraph.co.uk website. Exposed steel and glass was the desired look apparently. Very post modern. And yes, that entire thing is for one family. 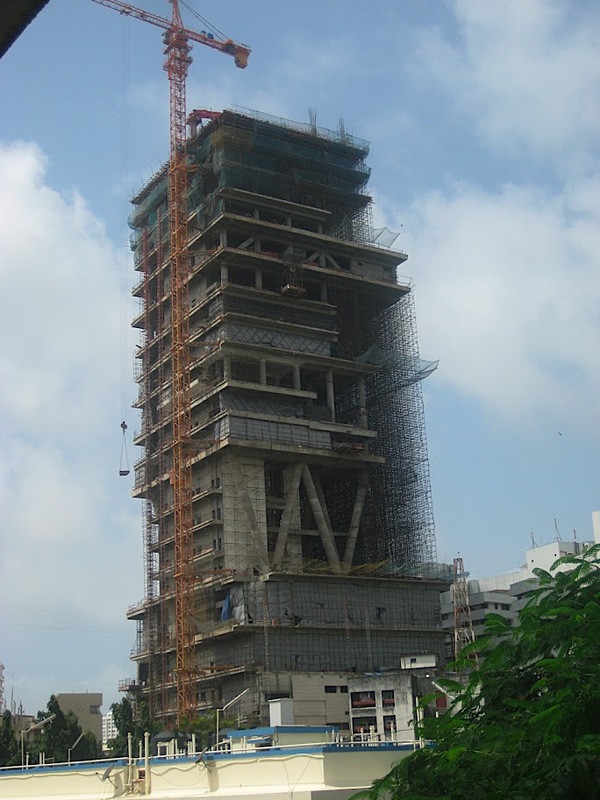 Located in Mumbai, the most expensive house in the world is owned (fittingly) by the richest man in India: Mukesh Ambani, age 53. He lives in the $1 billion skyscraper mansion with his wife, three children and 600 servants. Named Anitlla, the entire structure is 27 stories high, although to be fair the first 6 floors are a 160-car garage. The big question is this: How many bedrooms are in the 37,000 square meter monolith? That's 398,264.69 square feet by the way, more space than at the Palace of Versailles. Where would you build a billion dollar home? What would be the insane amenities you'd include?